Watkins Glen is a hub of activity in Finger Lakes Wine Country. I had the pleasure of chatting with Nikita Hairston, Director of Tourism & Marketing at the Watkins Glen Area Chamber of Commerce about some exciting events taking place in the coming weeks. Nikita hit the ground running with the Watkins Area Chamber in the bustling summer season of 2011. She immediately fell in love with Schuyler County & the Finger Lakes. The wineries, lakes, people and the beautiful scenery in the State Park, made her feel right at home. Nikita is responsible for the Chamber's marketing and public relations initiatives, membership recruitment, and event planning. She also supervises the operations and staff of the Chamber's Tourist Information Center. Nikita gave me a few can't miss events taking place during the fall in the Watkins Glen area. Here are her favorites. Summertime is the perfect time to enjoy a concert in the park, by the harbor, or in the Vineyard. In the Watkins Glen region, you can find all of these. Tomorrow, August 30th from 7 p.m. - 9 p.m. in Lafayette Park in downtown Watkins Glen is a Concert in the Park featuring Andy Stobie and the Greater Finger Lakes Jazz Orchestra. Friday, September 2nd there are two outdoor concerts to choose from. The first is part of the Harborfest Concert Series at Seneca Harbor Station in downtown Watkins Glen from 6 p.m. - 9 p.m., this week the featured band is the Unusual Suspects. The second concert to choose from is part of the Friday Nights on the Brewdeck concert series at Wagner Vineyards. Enjoy music from Steve Southworth & The Rockabilly Rays from 8 p.m. - 11 p.m.. Get there early to enjoy a chicken or fish dinner starting at 7 p.m. Cover for this great event is only $3! One of the most historic events to take place in Finger Lakes Wine Country is the Vintage Grand Prix, this year taking place September 9th. Every September, car enthusiasts from all over North America flock to Watkins Glen to enjoy the celebration. The featured highlight of the Festival is a tribute to the original Grand Prix races using the original 6.6 mile road course. Always a crowd pleaser, the Watkins Glen Grand Prix Tribute is designed to recreate the ambiance of the 1948-52 Watkins Glen street races. The race tribute is open to selected Sportscar Vintage Racing Association (SVRA) cars participating in the The Glenora Wine Cellars U.S. Vintage Grand Prix presented by Welliver races held at the nearby Watkins Glen International race course on the same weekend as the festival. The Watkins Glen Area Chamber of Commerce is excited to announce its second annual culinary event, Debra Whitings Harvest Celebration, formerly known as A Taste of the Finger Lakes. The stylish affair will be held at the Watkins Glen Community Center on Thursday, October 13, 2011 from 5:00 p.m. to 8:00 p.m. The Chambers decision to change the name of the annual event to Debra Whitings Harvest Celebration was done so to honor the late executive chef and owner of Red Newt Cellars Winery & Bistro, Debra Whiting. Whiting served on the Chambers board of directors from 2008 to 2011 (Chairwoman of the Board in 2010), was the driving force behind the inaugural culinary event and was one of the many reasons why this social event was successful in 2010. The purpose for the event is to capture the essence of culinary creations and farm fresh produce during the heart of harvest; while displaying numerous local restaurants, farm markets, wineries, breweries, and other food vendors in the area. Attendees and guests will have the opportunity to see, sample and socialize while enjoying a variety of fabulous Finger Lakes fare. 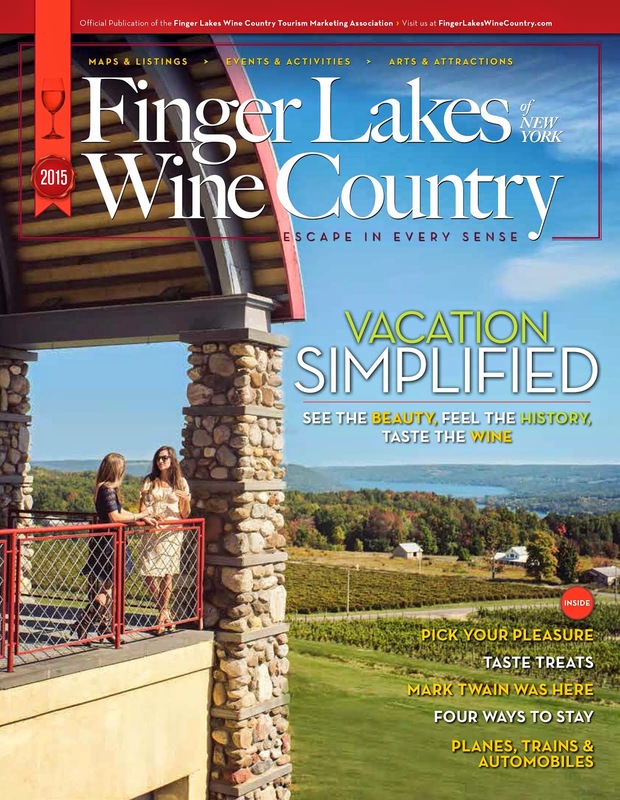 Members, partners, famed wine makers, and culinary geniuses are afforded the opportunity to showcase their best offerings of the Finger Lakes region. To hear more from my conversation with Nikita, listen to the 15-minute podcast. To listen to more podcasts from Finger Lakes Wine Country, visit www.FingerLakesWineCountry.com/EscapeToTheFingerLakes.aspx.